Windows PCs can be choked by programs that don't properly uninstall, with temporary files and Registry entries often left behind. Optimisation suites such as Winoptimizer aim to clear out the redundant data and keep your PC running smoothly. The 29 separate modules are divided into six groups: Maintain system, Improve performance, Customize Windows, Analyse system, File tools and General. Each category encompasses both major and minor tweaks. One-Click Optimizer, which has its own desktop icon, has three components: Internet Cleaner, Drive Cleaner and Registry Optimizer. The first clears out temporary files and cookies, the second removes temporary and redundant files from your drives, and the third finds and deletes redundant Registry entries. The tool did all the above in 33 secs on our Windows 7 machine. But system optimisation doesn’t always result in huge performance improvements. We ran three tests before and after the One-Click Optimizer, and found starting up Windows took 20 percent longer following optimisation. Shut down time was a third faster, while the Norton 360 scan time was constant. Some of the suite's other tools, such as its ability to alter what programs load with Windows, will affect the startup time, of course. Other modules that caught our eye include Process Manager, Tuning Assistant and System Benchmark. Process Manager offers more information than Windows' Task Manager, and helpfully includes the source of each process. Windows PCs can be choked by programs that don't properly uninstall, with temporary files and Registry entries often left behind. Tuning Assistant makes recommendations for altering your Windows configuration, such as allowing hibernation, removing administrative network shares and changing the polling rate on USB ports from every millisecond to every five milliseconds. System Benchmark performs a number of speed tests and returns scores that can tell you whether the machine is slowing down over time. Some suites simply link to Windows' own disk defragmenter tool, process controller and other tools; Winoptimizer provides its own. Its defragmenter, for example, is quick, apparently thorough and shows a useful display as it works. All optimisation duties can be scheduled using the Taskplaner (sic). 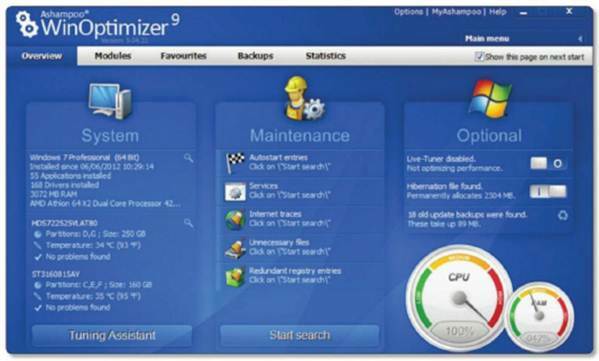 Winoptimizer 9.0 is a comprehensive suite of useful optimisation utilities. Our performance improvements were small, but your experience may be different. 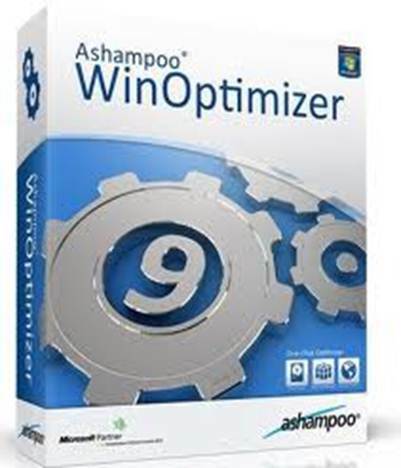 Grab a free copy of Ashampoo Winotimizer 9.0 on our DVD!